Jalapeno Tequila is absolutely my new obsession. I love how, in a cocktail, it gives you just the right amount of tingle and heat in your throat. In restaurants you can enjoy the best spicy margaritas, or jalapeno palomas. But when it comes to making those drinks at home, it is surprisingly hard to find a good jalapeno infused tequila in the store! So, I got to making my own, and you should too. Then you will be making the BEST tequila cocktails at home that will give you just a hint of tingley spice in the back of your throat. Perfection!! 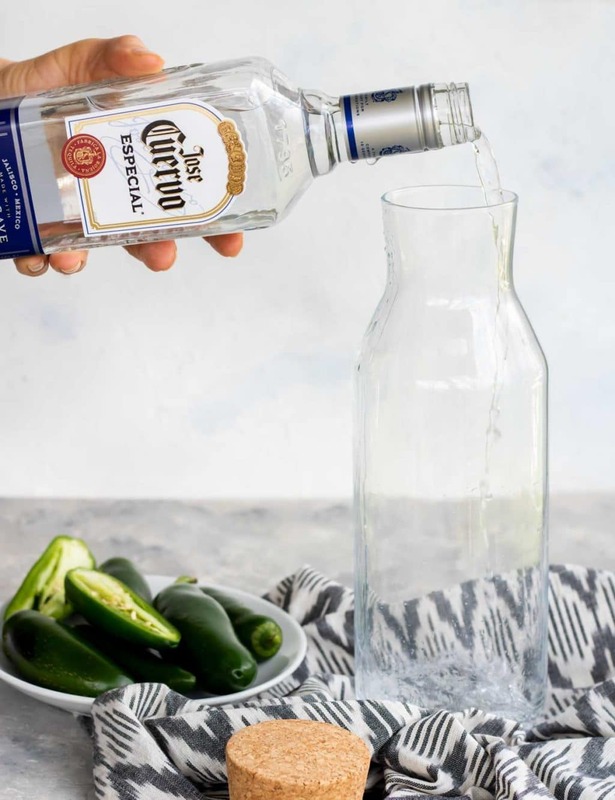 After you learn how to make jalapeno tequila at home you will be wondering why you have been paying $12 for each cocktail at a restaurant, when you can have an entire bottle for under $20 at home. 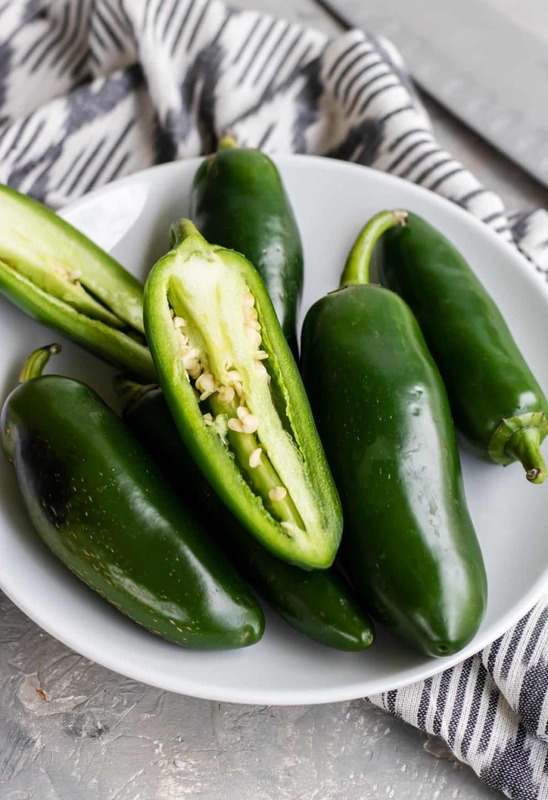 For this recipe you can choose to use 1 or 2 jalapenos. I actually do not like a TON of spice, I like my spicy drinks to give just a little tingle, not an all out fire. I use 2 medium sized jalapenos. 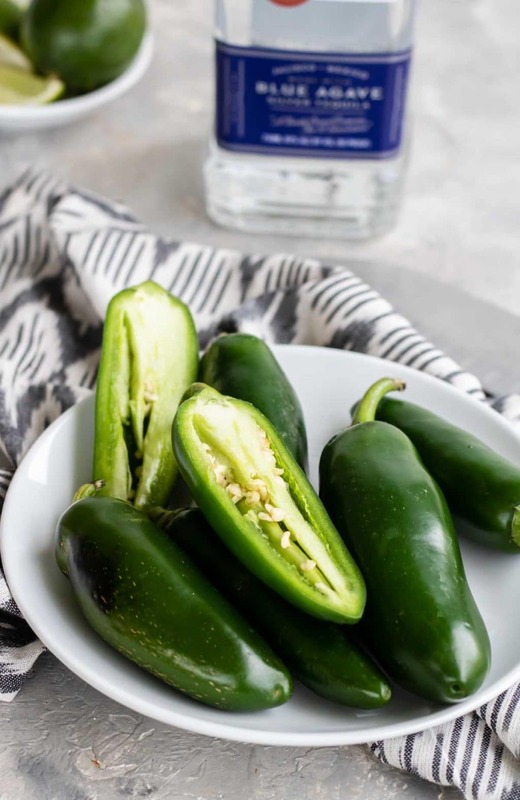 If you choose to use just 1 jalapeno you will have just a slight warmth and verdant/herby flavor in your tequila. Slice the fresh jalapenos lengthwise, leaving all the seeds and ribs in the jalapeno. Place them in a glass jar or pitcher that is large enough to hold an entire 750ml bottle of tequila. For this recipe I use Jose Cuervo Especial Blue Agave Tequila. However, feel free to use whatever silver or blanco tequila you prefer. 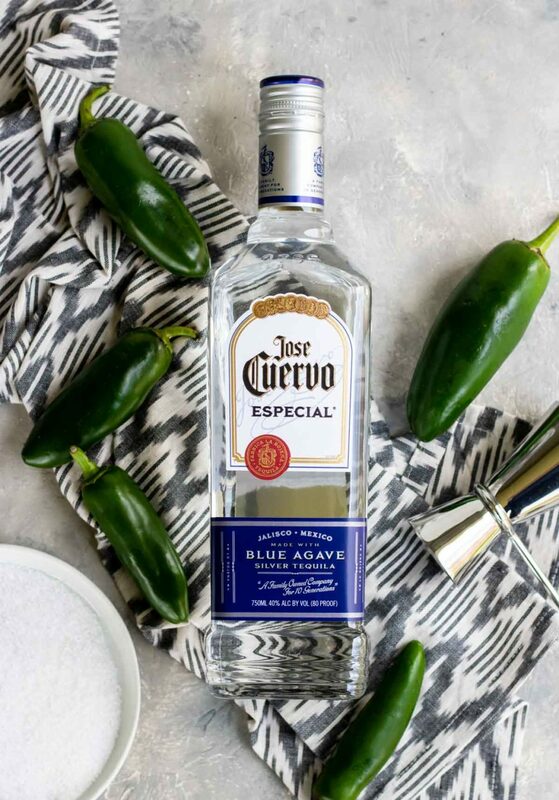 Pour the entire 750ml bottle of silver tequila into the glass container, with the jalapeno. Cover with a lid or plastic wrap of some kind. Let the mixture sit on the counter, at room temp, for 10-12 hours. I find that is the perfect amount of time to allow some heat and flavor to steep into the tequila. After 10-12 hours it is time to strain the jalapenos and seeds from the tequila. I like to do this with a small strainer that is held over a funnel placed into either the empty tequila bottle or another glass bottle with a lid. Discard the used jalapenos. However, if you are making cocktails right away you can slice them for cocktail garnishes. 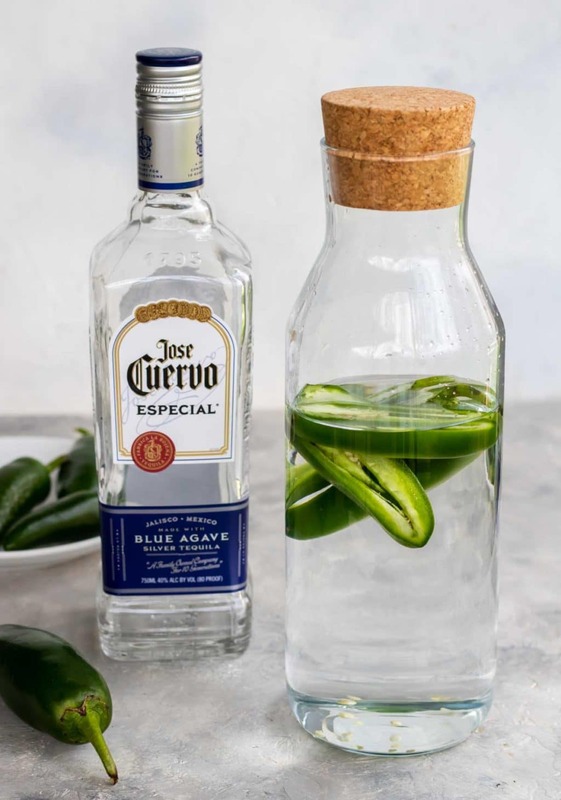 Store your jalapeno tequila just as you would store normal tequila. I keep mine at room temp in a cabinet. It does not need to be refrigerated and should last up to 6 months. Any tequila drink that you want to add a little spice to will work well. 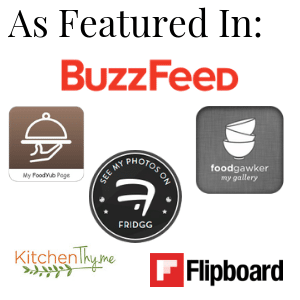 Here are some of my faves, and of course there will be more recipes to come! 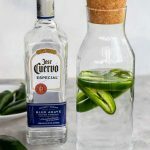 The best recipe for homemade jalapeno tequila that has just the right amount of spiciness to give you a little warmth in your cocktail. 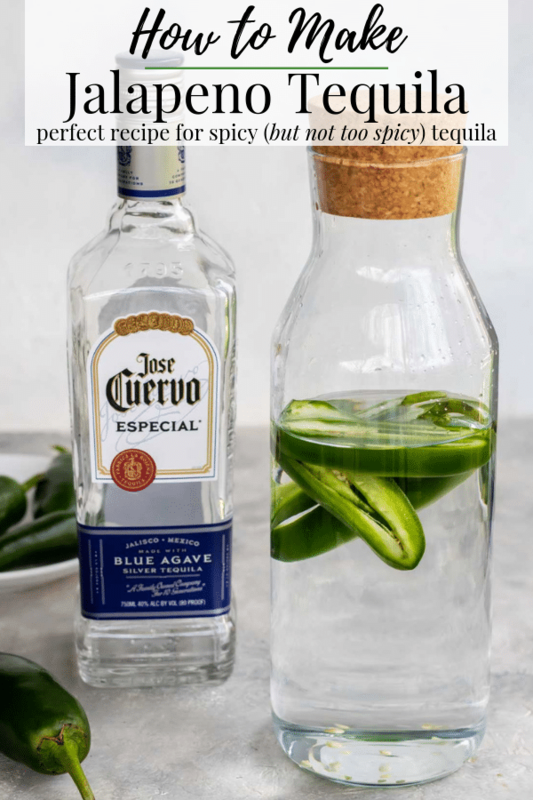 Combine the entire bottle of tequila and the cut jalapenos in a glass container or pitcher. Let it sit at room temp, covered, for 10-12 hours. 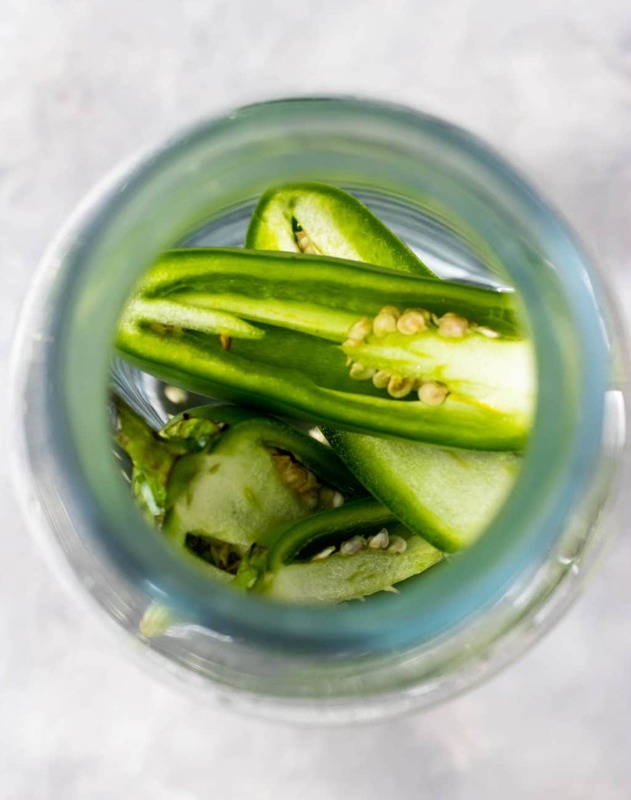 Strain the jalapenos and seeds from the tequila using a fine mesh strainer (make sure there is a container under the strainer, don't pour your tequila down the drain). Store in a glass container with a lid (can use the tequila bottle) for up to 6 months. 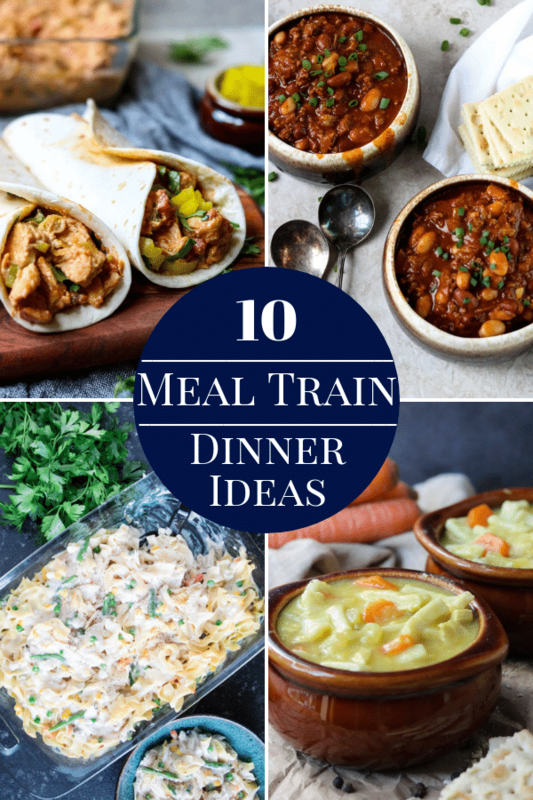 Use in your favorite tequila drinks to give it a little heat! Yum – I’m a tequila girl, too. Love cocktails with a hint of heat! 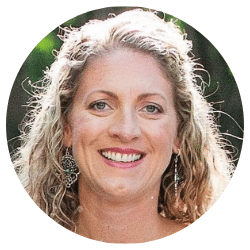 Share a tequila with you in Portland! 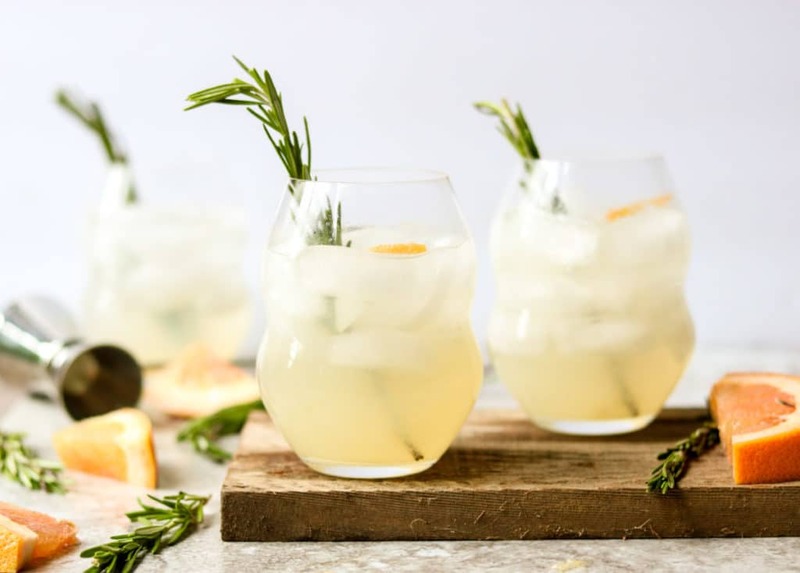 Doing this for sure, LOVE heat and this looks awesome for spring time cocktails. 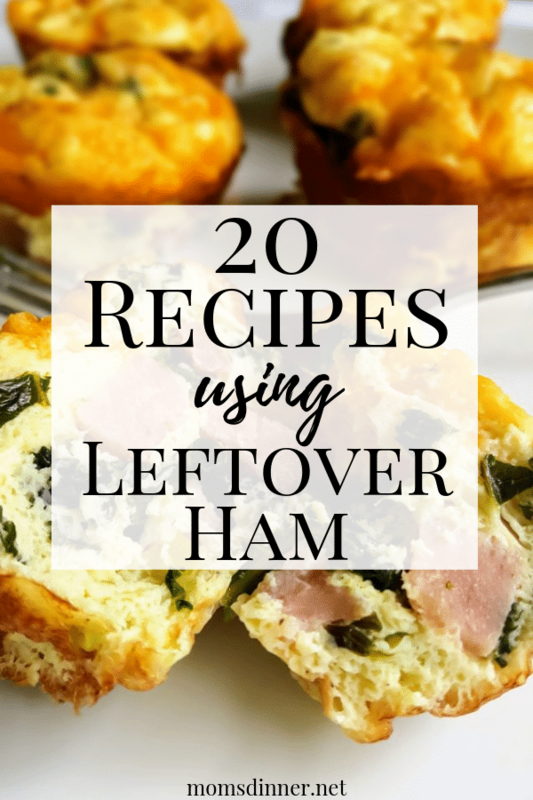 Definitely use 2 jalapenos, and let me know what cocktail you use it in! Can’t wait to make this for some margaritas this summer!! Sounds delicious! Can’t wait to make this for some margaritas this summer!! Loving these photos so much!! Yummm. Drinks with a hint of heat are definitely my thing. I’m totally going to be giving this a try this Cinco de Mayo! Sounds awesome! 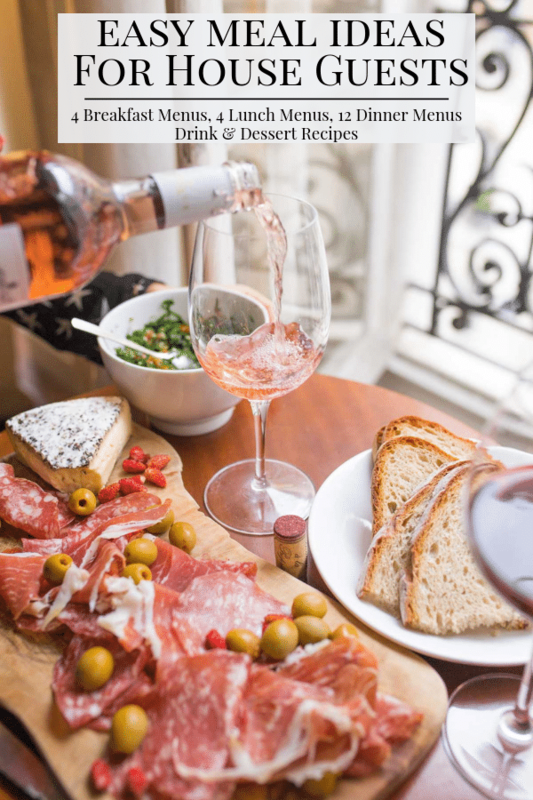 Perfect recipe for summer entertaining!